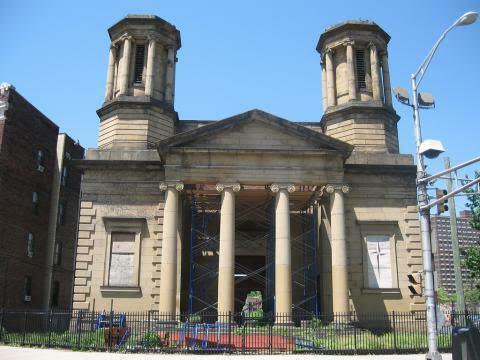 Born as a church for the affluent descendants of Pilgrims, it became a homeless shelter. 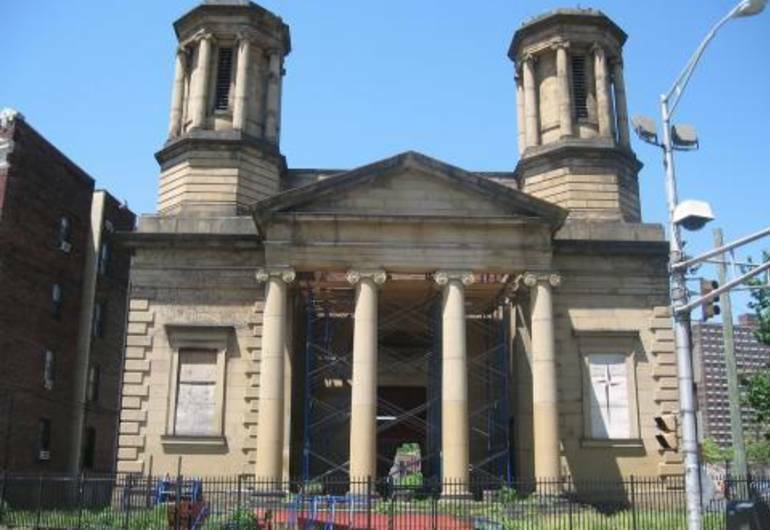 Now a ruin, the South Park Presbyterian Church may again serve Newark as a museum honoring the achievements of African-Americans. The South Park Presbyterian Church is one of New Jersey’s finest Greek Revival churches. The church uses a conventional church floor plan, but its grand Nova Scotia limestone façade is unusually well-made. The two towers that flank the portico today sprout trees from their tops, but they used to have ornamental structures copied from the “Choragic Monument of Lysicrates,” in Athens, Greece.